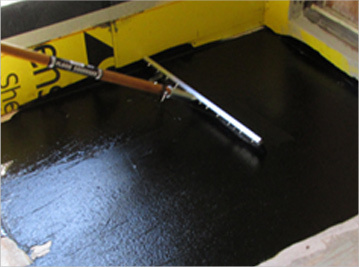 The Laurenco Waterproofing System is built around a cold applied, reinforced, rubber modified asphalt sheet. 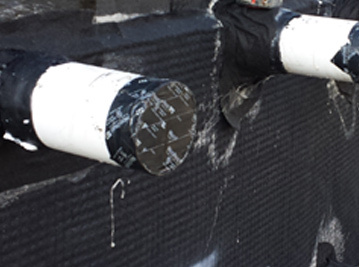 It is a two part inter-reactive system comprised of a reinforced, woven glass membrane and a VOC compliant rubberized asphalt adhesive. Green concrete compliant— New concrete only requires a surface that will support foot traffic and, for vertical surfaces, it is self-supportive once casting forms have been removed. 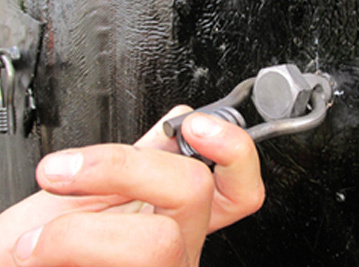 Existing substrates only require a surface dry condition. 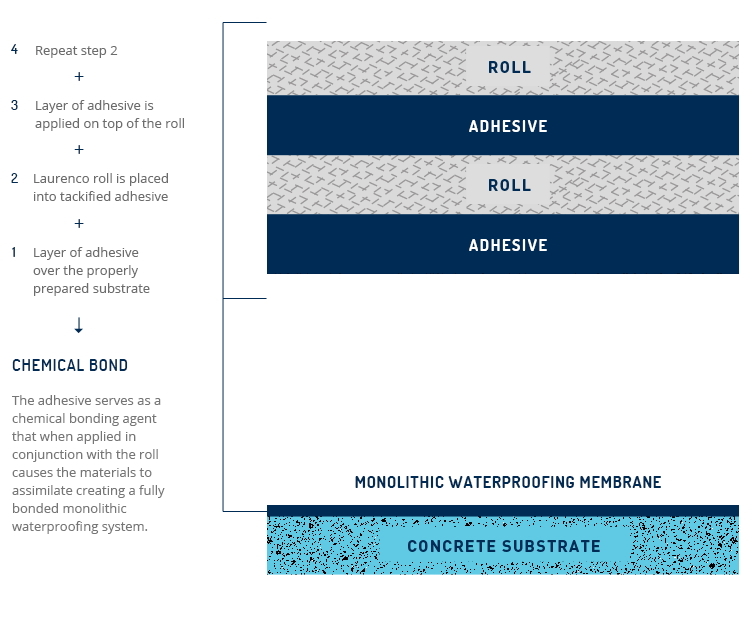 The waterproofing membrane cures to a seamless, monolithic layer that will remain durable and protective. This system boasts self-healing properties equal to the best coal-tar-pitch systems of the past, but without the associated hazards. System will remain flexible and resilient at temperatures well below 0°F, withstanding water-heads beyond 300 feet, and resisting chemical and environmental contaminants. System will withstand hydrostatic pressure of 277 psi (638.9 foot head of water). 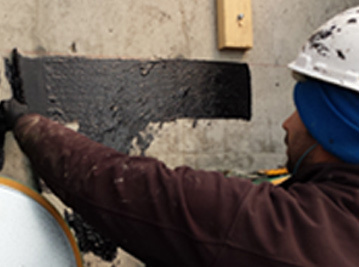 Laurenco Systems do not need or require 7, 14, or 28 day concrete cure times. Laurenco only needs concrete that can sustain foot traffic or is self supportive, and surface dry. Laurenco Systems do not need or require primers, fillets, cants, curbs, rounded or chamfered corners, wood nailers, or other like items. Laurenco Systems do not need or require specialized tooling or equipment such as hot asphalt kettles, melters, or torches; or the special permits and certifications often required with their use. Laurenco Systems do not require high solvent, non V.O.C. compliant adhesives. Laurenco Systems are V.O.C. compliant in all 50 states. To learn more about the warranties we offer, register for access.